One of the first cooperative board games we ever covered here at Co-Optimus was Castle Ravenloft. Released in 2010, this vampire-themed tabletop dungeon crawl was the first of the Dungeons & Dragons Adventure System games. It was quickly followed by two more games in the series, Wrath of Ashardalon and Legend of Drizzt. 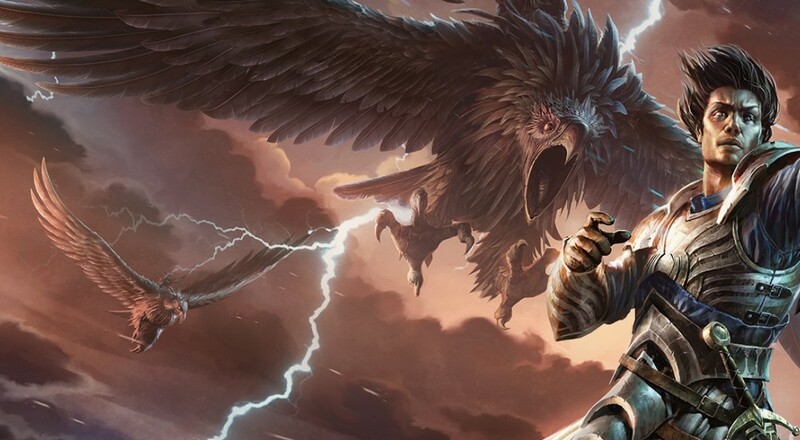 Fans thought the series was complete, but Temple of Elemental Evil surprised us all upon its release last spring. So how does the latest D&D Adventure System title stack up against the others? We’ll take a look in this month’s Tabletop Co-Op. The D&D Adventure System is a simple, but very effective set of gameplay mechanics. Up to five players take on the roles of characters from a variety of D&D’s iconic classes. The dungeon is built by exploration, and each new tile placed brings danger in the form of monsters or random events (and sometimes both). Each monster has a unique set of tactics, and as the players team up to take down monsters, they earn experience and find treasure. Each game comes with a large variety of scenarios to play through, providing lots of replay value. You can even combine elements from each game via homebrew or fan-created content. It’s a great system, and works together very well, as a good co-op game should. 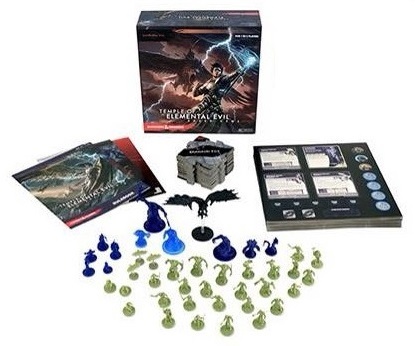 Temple of Elemental Evil is loosely based on the classic D&D module of the same name. The titular temple contains cults devoted to powers hailing from the elemental planes of earth, air, fire, and water. As you might expect, there are lots of cultists running around, and more than the typical share of elemental creatures residing within. The original module was famous for being one of the first megadungeons, making it a fine choice for interpretation as a dungeon crawl boardgame. One of the biggest differences between Temple of Elemental Evil and the prior games in the series is the assumption of campaign play. While there were rules for campaign play in prior games, it seemed something of an afterthought, included only due to player demand. Temple of Elemental Evil puts the campaign first and foremost. Players begin the first scenario trapped inside the temple, and once they escape, they can spend gold to upgrade their characters before heading back in for the next scenario. There’s even a spot in the rulebook to record your purchases in case you forget from one session to the next.